Bip Bip et Coyote (1949) : Série TV de 1 saisons et 65 épisodes diffusée sur . Casting, acteurs, bandes annonces et actualités. Bip Bip est un drôle d'oiseau bleu (en réalité, un Grand Géocoucou) qui sillonne les routes du désert au sud des États-Unis. Un coyote (Vil Coyote) décide de le pourchasser malgré la grande rapidité de sa proie. Coyote n'a alors de cesse d'inventer des stratagèmes loufoques (du patin à réacteur à la catapulte géante) pour capturer son repas. Il voit ses idées se retourner les unes après les autres contre lui : pétard mouillé, élastique capricieux ou enclume facétieuse. Coyote se fait prendre à chaque fois à son propre piège tandis que Bip Bip, farceur et malin, commente la situation avec un humour grinçant à l'aide d'un panneau qu'il tient dans une patte, avant de repartir en lâchant un « bip bip ! » provocateur. Coyote n'attrape Bip Bip que dans un seul épisode, Soup or Sonic, mais il n'est pas en mesure d'en profiter car devenu minuscule. Casting de la série "Bip Bip et Coyote"
S01E01 Fast and Furry-Ous 16/09/1949 The desert in the U.S. southwest is the natural habitat of the Road Runner, a high-octane, cartoon bird who runs so fast on the desert's roadways that he leaves a trail of flame or causes pavement to ripple, distort, or roll up like a carpet. This speedy bird is unrelentingly chased by a hungry coyote named Wile E., who, though believing himself to be a genius, repeatedly fails to catch the Road Runner with his endless supply of ACME Corporation gadgets, weapons, and other paraphernalia. Episodes of this television series contain three theatrical cartoons, one with the Road Runner and Wile E. Coyote, one with Tweety Bird and Sylvester Cat, and one with other characters from Warner Brothers' cartoon classics. S01E34 Road Runner A Go-Go 01/02/1965 Road Runner a Go-Go is one of 3 cartoons reused from the unsold pilot Adventures of the Road Runner (the others were To Beep or Not to Beep and Zip Zip Hooray!). Milt Franklyn was credited as the musician with the correct spelling of his name. Unlike To Beep or Not to Beep, this cartoon doesn't feature an entirely new soundtrack by Bill Lava, due to budget cuts. 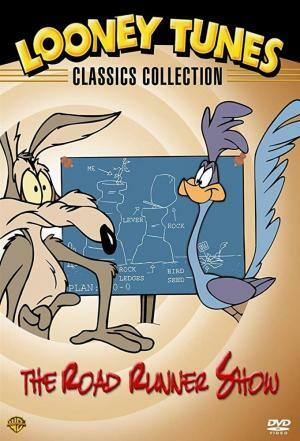 The cartoon includes the sequence of Adventures of the Road Runner with Wile E. Coyote speaking to the viewing audience. The cartoon also features a theme song called Out in the Desert, loosely based on the song Down by the Station. The original pilot was produced by David H. DePatie with supervising director Chuck Jones. The theatrical release version of the original pilot is available on Looney Tunes Golden Collection Volume 2, Disc 2. S00E01 Vite fait, mal fait 00/00/0000 The desert in the U.S. southwest is the natural habitat of the Road Runner, a high-octane, cartoon bird who runs so fast on the desert's roadways that he leaves a trail of flame or causes pavement to ripple, distort, or roll up like a carpet. This speedy bird is unrelentingly chased by a hungry coyote named Wile E., who, though believing himself to be a genius, repeatedly fails to catch the Road Runner with his endless supply of ACME Corporation gadgets, weapons, and other paraphernalia. Episodes of this television series contain three theatrical cartoons, one with the Road Runner and Wile E. Coyote, one with Tweety Bird and Sylvester Cat, and one with other characters from Warner Brothers' cartoon classics. Envie de parler de Bip Bip et Coyote ? Les discussions sont là pour vous. Retrouvez toutes les informations sur Bip Bip et Coyote lancée en 1949 : synopsys, casting complet, acteurs, scénariste, réalisateur. Découvrez des séries similaires à regarder également. Faites vous une idée de la série grâce à la note des membres et aux critiques des internautes.